• Renamed the incorrectly named "world space" vertex positioning to "local space"
• All nodes can now be created with hotkeys using a new quick-select menu! • You can now use global variables! - Right click on a property and select "Make global"
• Fixed an issue where I forgot to bundle the code, please remove your old version of SF before installing this one! • Renamed node: "Constant Clamp" is now known as "Clamp (Simple)"
• Renamed node: "Constant Lerp" is now known as "Lerp (Simple)"
• Renamed node: "Remap Range" is now known as "Remap (Simple)"
• The bug causing massive load times and long connection / preview waiting times has now been fixed! • The transform node is now much more intuitive. The new version has two dropdowns, From and To, where you can select World, Local, Tangent or View. 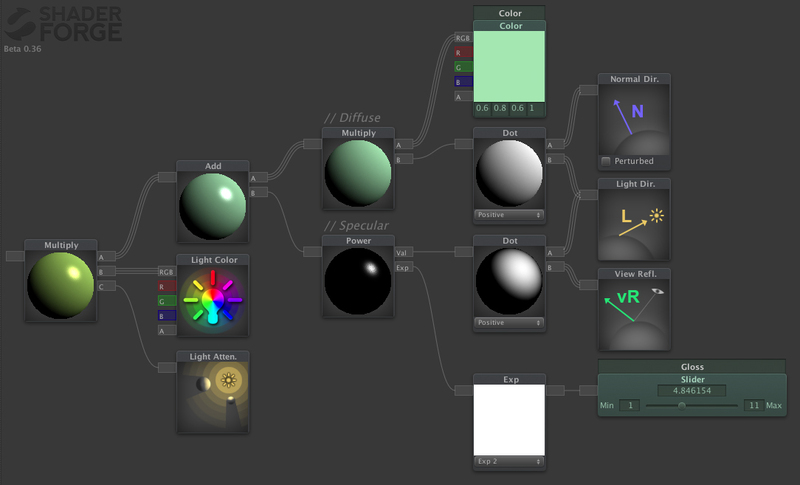 Note that your old shaders using the transform node will either break or be reset. • You can now comment on nodes by right-clicking on them and selecting "Edit Comment"
• There is now an energy conserving physically based lighting mode (PBL) available! 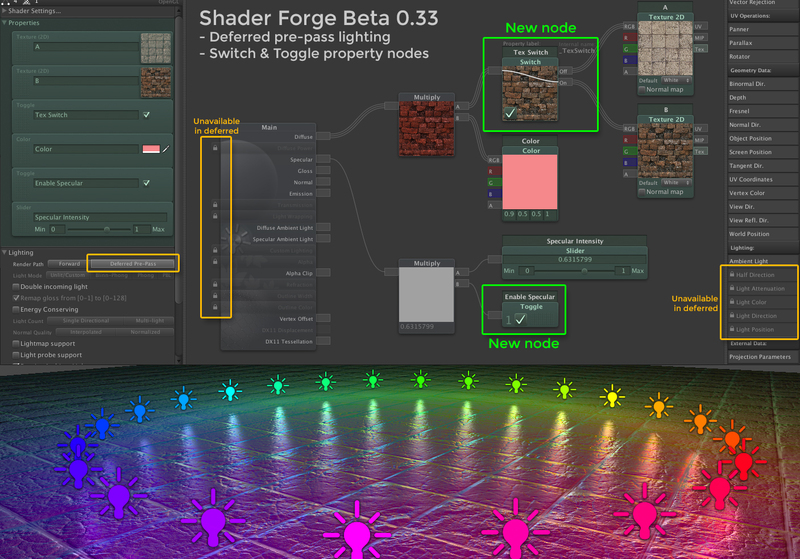 • The node connector system has now changed a *lot*, which means your old shaders probably won't load. If your old shaders doesn't load, please don't report a bug. • Had a long battle with Anisotropic spec but couldn't get it to work, so hang in there! • You can now drag textures directly into empty areas to create a Texture 2D node. • Normal map textures are now displayed unpacked. • Nodes are now categorized in the right-click menu.